Of course not everything is free when you coupon, but below is a picture of the items I got in July for between one cent and $1.00. These items have an individual retail cost anywhere from $1.06 to $8.99, with a combined retail value of $1,006! I paid $185 for it all, which is 81% off (or 86% when factoring in the additional $323 of free items from yesterday's post). My collection of stuff I got for $1 or less in July! You may assume I blew my grocery budget as a result of these purchases. Actually, I came in under budget this month, thanks to the couponing I did in June. (Please note that unlike on the Extreme Couponing show, I did not get all of these items in one shopping trip, nor did I empty any shelves. 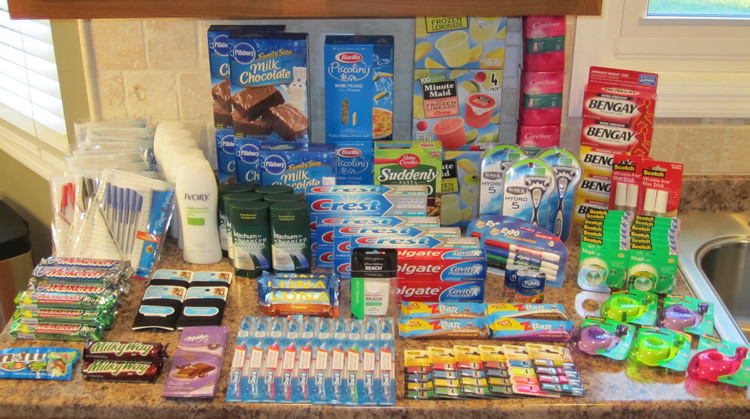 This collection represents shopping trips throughout the month at various stores). To sum it up, I spent $185 and stockpiled $1,329 worth of free and cheap items in July. 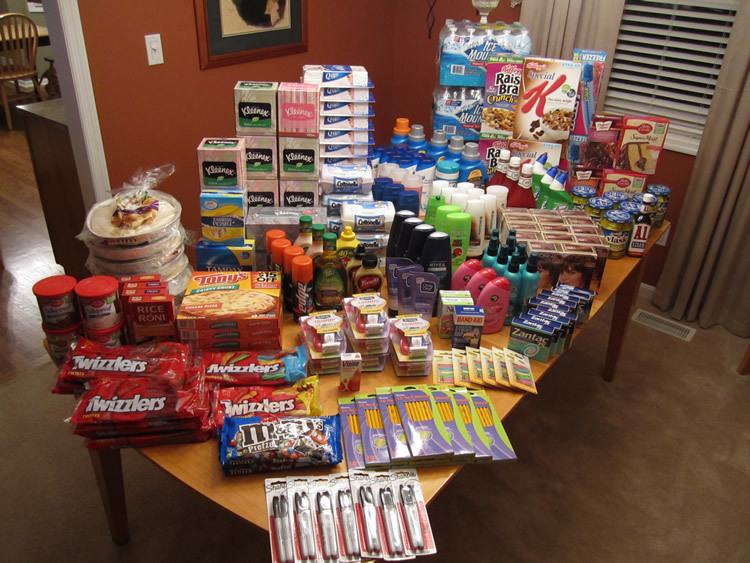 So are you ready to start some serious couponing? My Cheap Deal of the Day: Two Head & Shoulders Shampoo (14oz) at Walgreens for .01 cents total! If you look closely enough in the picture you'll see 8 of them in there! My collection of stuff I got for FREE in July! Now, I cannot say that I saved $323 last month, because of course I would not normally buy these quantities all at once. I can say, however, that I have already seen my grocery expenses go down based on my couponing, and I expect it will remain lower than normal during the upcoming months when I don't have to buy items already in my stockpile. Clearly, a large collection of personal care items, office supplies and candy is not going to sustain my family, but keep in mind that this is just the free stuff. Tomorrow I will post about the items I've gotten for $1 or less. I have recently starting couponing again after a 10 year hiatus. I blame my husband because he is the one who got me hooked on the show Extreme Couponing on TLC and caused me to develop Coupon Madness once again. Why did I stop couponing? I didn't think I had time to do it while working and raising a family. Well, I am still working and raising a family, but have now figured out how to fit couponing back in and still balance everything. I'm enjoying the madness all over again!! I had the website, www.CouponMadness.com up and running back in the day, but it, too, has been on hiatus. At this point I am resurrecting my site as a blog with information on how you, too, can fit couponing into your busy life and benefit from it greatly.